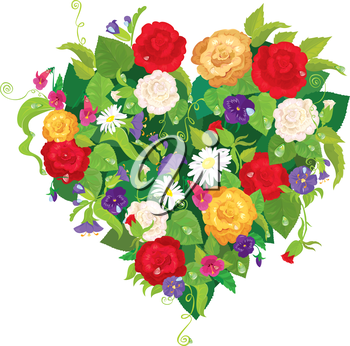 Heart shape is made of beautiful flowers - roses, pansies, bell flowers isolated on white background. Valentines Day card. Maximum raster dimensions: 2400 x 2373 pixels at 300dpi.